Before my wardrobe clean out I had no shirts. Now, post clean out I have acquired 2 shirts after acknowledging that they are 1) very versatile and 2) I actually love wearing shirts! The thing is, before my wardrobe got stripped bare I never thought shirts could be worn casually. I have no idea why I had this thought, it just never occurred to me. However, one day a friend was wearing black skinny jeans with this fitted pale blue shirt. The entire outfit looked casual but also had polish and from that day I started to look for a shirt. I prefer a looser fit and the chambray shirt is actually from the men's section. I love shirts from the men's section as even the lower range shirts have simple design and are tailored beautifully. Sometimes, the shirts from the women's section just have too much embellishments or the colour is just too bold. When Everlane starts shipping overseas I would love one of their "Men's Oxford White" just so simple, 100% cotton and the fit I adore. What type of shirts do you like? I like men's or boy's (kid's) shirts too. Even in women's shirts I prefer a slouchier fit. I've learned crisp shirts are not comfortable for me. I like soft oxfords or twill shirts. One of my peeves is button placement on shirts though. Your olive Zara shirt is beautiful. I love an epaulet. Totally agree, the slouchy, loose fit gives the shirt a softer appearance and is easily balanced by fitted jeans or trousers at the bottom. The next shirt I'm going to buy is a twill shirt in a neutral colour, just love the look of twill! I find sometimes the length of the shirt and sleeves a too long, even when I buy the smallest size. Thank you! 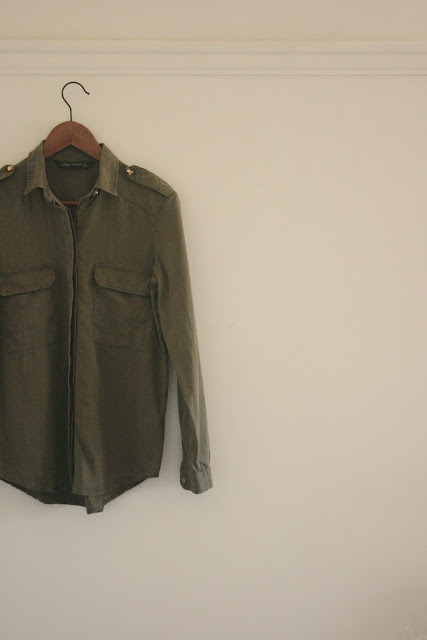 I love the Zara one, and I reckon the epaulet gives it some structure. Been looking for exactly this blog. Thank you!! By the way, have you tuned into Project 333? It 's a minimalism idea you may like. Thank you so much! No, I had no idea what Project 333 until you just mentioned it! I love a drapey fit- it's so classically beautiful. I know I'll never get that off the rack- so i'm a big proponent of tailoring and investing in bespoke items. I reckon draping gives clothing a lovely soft structure, it is definitely hard to find it off the rack as draping is so personal, it might work for one person and not the other. I have come to realise that certain types of clothing should be invested in, for example a coat, cashmere sweaters and especially shoes! I love shirts! Live in them year-round. I love all fits: the oversized men's, the slightly fitted women's and the hybrid between the two which is a little boy's sized. Pale blue shirts are one of my favorites though- very versatile... casual or dressed-up. 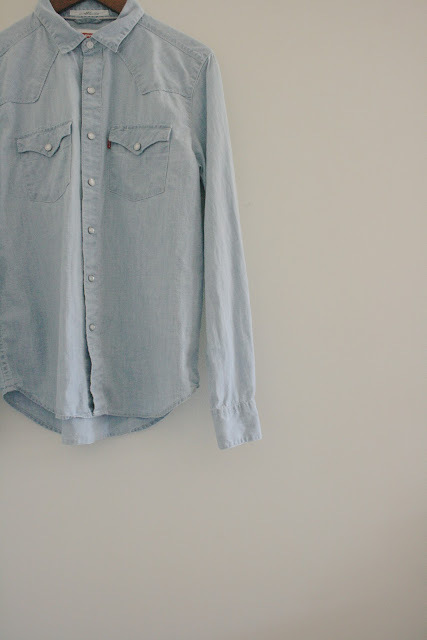 Chambray shirts are great too, one of my absolute favorite wardrobe pieces by far. I like your green Zara shirt, that particular shade of green is my favorite and looks beautiful with black denim.